Updated SUV Mitsubishi ASX 2018. 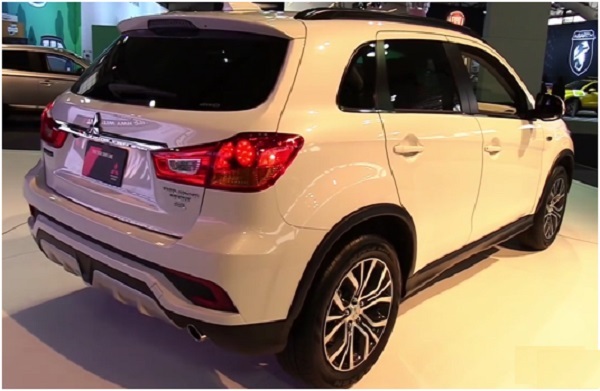 At the recent New York Motor Show in April 2017, the famous Japanese automotive concern presented an updated version of the crossover Mitsubishi ASX in 2018. The car got a more modern exterior and improved equipment. Also, the technical base has changed slightly. American motorists will be able to purchase a restyled SUV SUV class in the autumn of this year. In the United States, the novelty was called Outlander Sport. The basic configuration will cost about 20 thousand dollars. By the end of this year or early next year, the new ASX model will appear in European and Russian car dealerships. 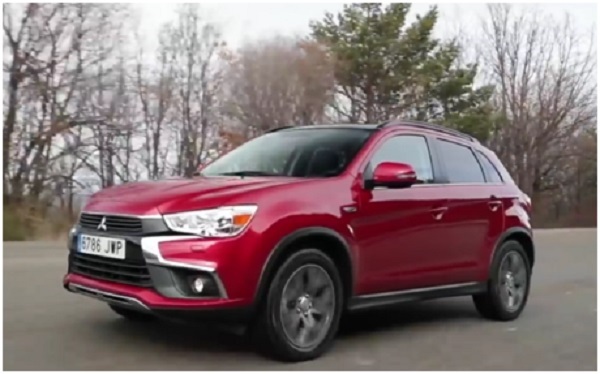 Restyling version of the ASX from Mitsubishi should press on the car market models such as the Suzuki Vitara crossover and Honda HR-V. Now the car is actively tested in America and is preparing for the beginning of retail sales. Features of design and exterior Mitsubishi ASH. As you know, one-third of Mitsubishi shares belongs to another Japanese automobile giant Nissan. He plans in the coming years to completely revise and update the model range of his new acquisition. Therefore, Mitsubishi ASX in 2018 can be the last generation of the series in its familiar form. The next generation of the car is scheduled for release by 2020. The car will become a sister of the crossover Nissan Qashqai and will have the appropriate appearance. Therefore, the original car with a diamond trefoil on the grille, apparently, will have to be forgotten. 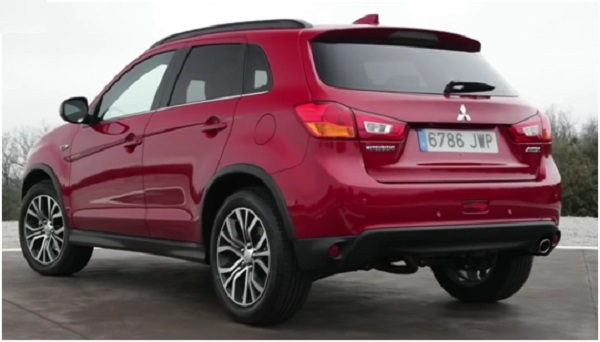 In addition to the ASX Franco-Japanese «cart» and the filling of the alliance Renault-Nissan will receive several more popular cars Mitsubishi. The appearance of the novelty shown in New York practically did not change in comparison with the previous model. According to rumors, this is due to the excessive economy of the new owner and the future cardinal modernization of the series as a whole. The developers have updated the fine-meshed grille and added it with a spectacular cross bar with a chrome finish. A slightly modified front bumper with strokes of navigation lights of daylight and neat head optics. The fog lamps remained the same. LED parking lights have become more stylish, and an original chrome overlay with the brand logo has appeared on the trunk door. Also note the new rear bumper with simulated diffuser, C-shaped fog lamps and reinforced plastic underbody protection. All the changes are made taking into account the modern automobile fashion and the company’s design policy. One more interesting shade under the name «Alloy Silver» became available for painting of a body. Like the dorestayling model, the new generation is easy to plant, comfortable and practical interior, as well as neat interior decoration with high-quality materials. From innovations it is possible to allocate other configuration of the central transmission tunnel. Functional keys and cup holders are now positioned more competently and comfortably. The selector of the gearbox shifted closer to the driver’s seat for maximum comfortable use. Also immediately striking is the large full-color seven-inch touchscreen display of the updated multimedia complex with mobile synchronization of Android Auto and Apple CarPlay. The control is now completely touch-sensitive, so there are no duplicating buttons except one rotary knob. According to the manufacturer, the interior is now better protected from external noise and has increased protection from vibration. monitoring of «blind» zones and so on. In addition, the manufacturer promises a rich set of modern security systems, all kinds of assistants and assistants to the driver. Technical characteristics of new items. 1) 2.0-liter engine with four cylinders with a capacity of 150 horsepower. Works in tandem with a five-speed manual gearbox. For a fee, you can install the CVT-variator. 2) 2.4-liter four-cylinder engine capacity of 170 horsepower. Works exclusively with the variator. In addition to these engines for our country will be available basic front-drive 1.6-liter petrol engine capacity of 117 horsepower, working in tandem with a five-speed «mechanics». Test drive Mitsubishi ASX 2018.